Louisiana Tech welcomes Dr. Thomas Aiello to speak on “Race, Rights, and Non-unanimous Criminal Jury Verdicts” at 4 p.m. Oct. 11 in Wyly Auditorium. Co-sponsored by the Lambda-Rho chapter of the Phi Alpha Theta History Honor Society, the event is free and open to the public. Aiello will tell the story of Louisiana’s non-unanimous criminal jury verdict law, which originated during the beginning of the Jim Crow era in the late 19th century. The original law allowed criminal defendants to be convicted by nine of 12 jurors, and today, it still allows them to be convicted by 10. The law was designed to increase convictions of black defendants to feed the state’s burgeoning convict lease system and to limit the influence of black jury service. The civil rights movement successfully overturned many racist laws, but non-unanimous jury verdicts have remained. In November, Louisiana voters will cast their ballots on Amendment 2 to restore unanimous verdicts and erase this vestige of the state’s Jim Crow past. 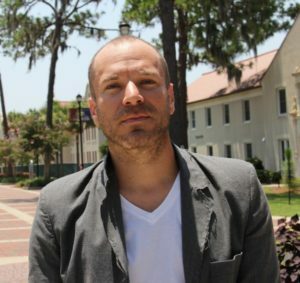 From Monroe, Aiello is an associate professor of history and African-American studies at Valdosta State University. He is one of the most celebrated and prolific writers on race, justice, and popular culture in Louisiana. Among his many publications are Jim Crow’s Last Stand: Non-unanimous Criminal Jury Verdicts in Louisiana, The Kings of Casino Park: Race and Race Baseball in the Lost Season of 1932, and Bayou Classic: The Grambling-Southern Football Rivalry. He recently spoke about non-unanimous jury verdicts on NPR’s Morning Edition radio show.